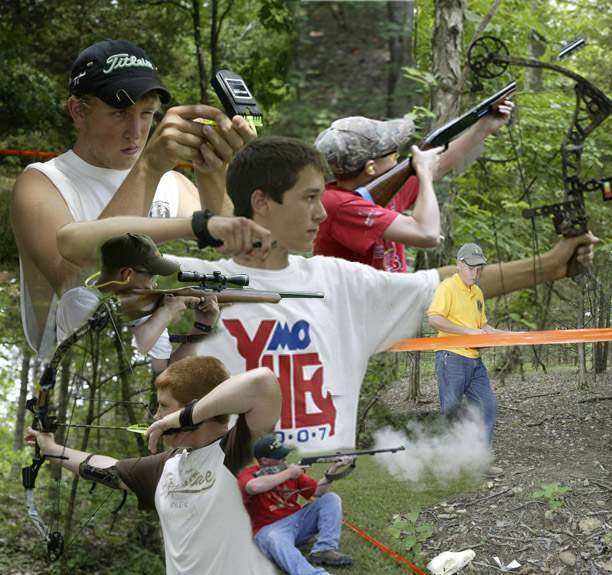 The Youth Hunter Education Challenge (YHEC) is the premier hunter education event in Missouri. Each year young hunter education graduates come together to advance their skills and knowledge in an exciting experience that incorporates many of the situations encountered while hunting. The program offers a chance to build on the skills that were introduced in the hunter education classroom. The Missouri Youth Hunter Education Challenge also gives hunter education instructors and volunteer coaches an opportunity to help make tomorrow's hunters more skilled and responsible. If you enjoy hunting and would like a chance to enhance your skills along with other young hunters in a fun and exciting way, the Missouri YHEC program is a great way to reach that goal.